Mary Jane Sinclair died 7th December 1994 aged 76. 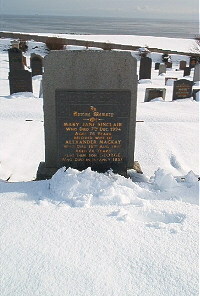 Husband Alexander Mackay died 16th August 1997 aged 86. Son George died 1957 in infancy.